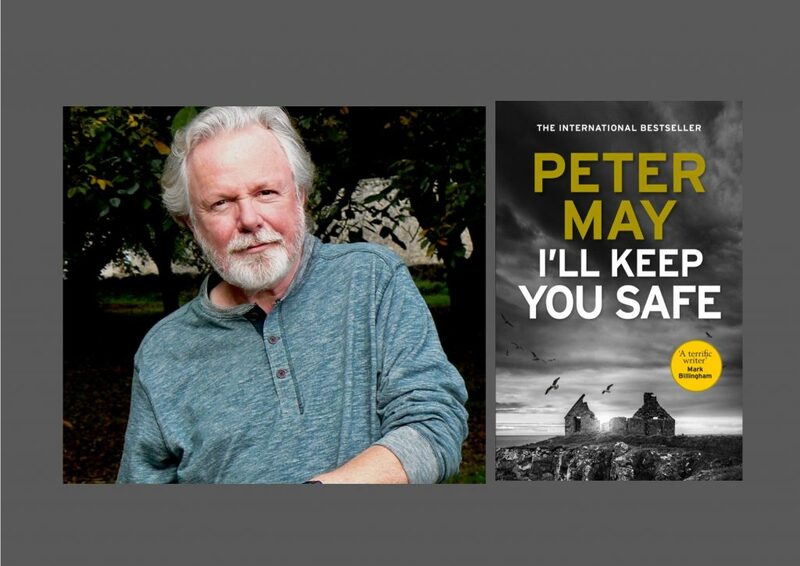 We are thrilled to announce that best-selling Scottish crime-writer Peter May will be the guest at our next Author Supper at The Sussex Produce Cafe, at 7pm on Tuesday 23rd January, 2018. Peter will be in conversation with fellow thriller writer William Shaw. Peter May is the best-selling author of more than 24 novels, including the internationally acclaimed Lewis Trilogy of thrillers set in the Outer Hebrides, which have sold more than a million copies in the UK alone. Peter will be celebrating the release of his explosive new thriller I’ll Keep You Safe, which follows husband and wife Niamh and Ruairidh Macfarlane, whose successful textile company Ranish Tweed has taken them from their Hebridean home to the world of high fashion. While in Paris on a business trip, cracks begin to appear in their relationship, and when Ruairidh and his lover are killed by a car bomb, Niamh finds herself the prime suspect. Her life unravelling, Niamh travels back to her home on the Isle of Lewis, followed by a French detective, Sylvie Braque, and as the investigation proceeds, distant memories resurface and past feuds are reignited, and the 2 women are drawn into the dark web of a killer who won’t back down. I’ll Keep you Safe is published by Quercus on 11th January. A hardback copy is included in the ticket price! TICKETS priced £30 will include a delicious 2 course meal, a signed hardback copy of I’ll Keep You Safe, and of course, a fascinating evening of insights from 2 great crime writers! Peter May was an award-winning journalist at the age of just twenty-one. He left newspapers for television and screenwriting, creating three prime-time British drama series and accruing more than 1,000 television credits. Peter May’s novels, Entry Island (2014), Runaway (2015), Coffin Road (2016) & were all top 3 Sunday Times bestsellers. He is published in 30 countries and has sold several million copies worldwide. The Lewis Trilogy has sold over 5 million copies in the UK alone. Peter has won numerous awards. In 2013 he won the ‘Best Crime Novel Award’ for ‘The Blackhouse’ at Bouchercon in the US. In September 2014, ‘Entry Island’ won the Deanston Crime Book of the Year and in October 2014 it won the Specsavers ITV3 Crime Thriller Book Club Best Read Award. He lives in France with his wife, the writer Janice Hally, so grab your chance to meet him on a rare trip to the UK!